"Cat was amazing! Not only did she help us in every way possible to locate, negotiate, and purchase our home, she was engaging, fun, and friendly from minute one. Spending the day looking at homes with her was like meeting a new friend. We used her services to buy a second home in Blue Ridge. She had great location suggestions and was consistently respectful of our parameters. Couldn’t have asked for a better experience"
"Cat went above and beyond the call of duty to make the process of selling our home a great experience! She was amazing to work with and I'll be using her for all my future real estate needs." "I would highly recommend Cat Benitez for any of your real estate needs. She is very professional and has excellent knowledge of the local area, is responsive to questions or requests, and her process expertise is experienced. When my husband and I made an offer on our house, she handled the contract negotiations with ease and we are happy that we now own the home of our dreams. Cat is warm and friendly, and it was a joy to work with her. My husband and I both cannot say enough good things about her. We would definitely recommend her to others who are seeking a real estate professional. "Cat helped my wife and I find the perfect home to start our family in our hometown. She was very caring and helped us when we had issues with difficult lenders. She is super knowledgable and I don't think we could have made it through the home buying process without her. Would definitely recommend." "My experience with Cat was A+. From the moment we met and showed her the house we wanted to list all the way through closing, she was professional, competent, pleasant, and responsive. I have a Type A personality so had many questions and she patiently answered all of them thoroughly and timely. The house we were listing was a 2nd home for us and so we did not live in the area. When we realized that we forgot the welcome mat after we had already left, I called Cat and she went above and beyond for us in purchasing a really nice welcome mat for the house. If you need to sell a home, I highly recommend Cat Benitez." "Cat was amazing! She answered any and all our questions. Made this process easy for us. She listed our house, had professional pictures made and in 2 days we had a contract. She is knowledgable. Not only was she our realtor, we are blessed to have made a lifelong friend. I would refer her to anyone looking for a great agent!!" "Cat was our lifeline during what had become a very stressful experience with an inherited property. We live out of state and were hoping to handle everything remotely- as soon as Cat took over our stress was gone and our property was very quickly under contract. Because we weren't local Cat had to document the property for us, assist us in scheduling inspections and necessary repairs, and handle everything that might come up unexpectedly. When a snowstorm was predicted she drove out to the property to make sure the water was off to avoid any potential damage. I have no doubt that there was much more work done behind the scenes that we will never know. We relied on her expertise in every aspect of this transaction and trusted her implicitly. Within 3 days of the listing becoming active there were 6 showings and an acceptable offer on the table. I can not recommend Cat highly enough. We enjoyed every interaction we had with her and knew that she was working as hard as she could to help us achieve our goals. If you have any real estate needs Cat should be your go-to agent. You will not be sorry." "Could not have been better, Cat knew exactly what we were looking for after speaking with us. Cat also put in contact with the sellers so we could all meet. All of our questions or concerns were taken care within a short period of time. Just a great experience working wit Cat! "If you are looking to buy or sell, Cat is definitely the one to call. She knows the area, she has experience and knowledge, and she has the energy to get the job done. She went above and beyond from start to finish. Without her expertise I would not have been able to purchase the place of my dreams. She is without a doubt a first-class real estate agent. "Working with Cat Benitez at Remax exceeded any of my expectations. Cat was very responsive to all of our questions and request. I would highly recommend Cat Benitez." "Cat is excellent with communication and responsiveness. We live in another state and we concerned at first that it would be a difficult process. Having Cat as our real estate agent has made this process extremely easy and pleasant. Any time I call and leave a message or send an E-mail, I get the information I need quickly and accurately. 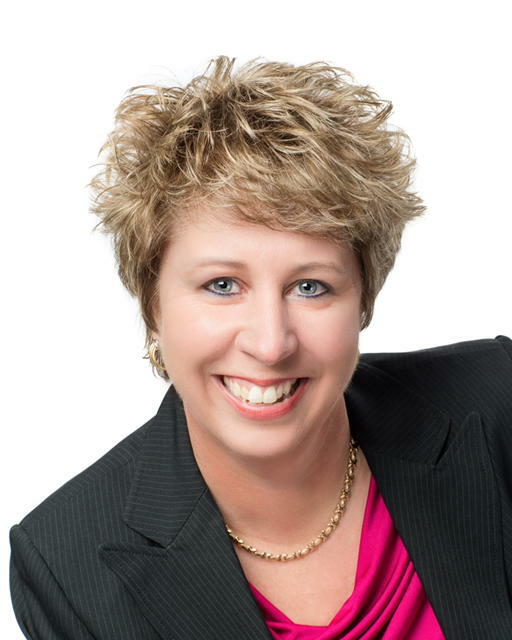 "Cat's expertise in the market and as a real estate professional was top notch! Cat worked tirelessly to understand my interest in the area. As a remote buyer I was impressed with the care and diligence with which Cat prepared for my visits. I encourage you to consider Cat for your real estate needs. She is terrific to work with!!!" "Cat was fantastic to work with. Her knowledge of the area was invaluable and she went above and beyond to help meet all our needs during the loan approval and closing process." "Cat proved to be friendly, caring and highly professional in helping us through the process of buying our home. Her tenacious but consistent and steady style and expertise helps to smooth out the usual bumps in the process and makes the transaction easy. I would HIGHLY recommend Cat Benitez to anyone looking to buy a home." "Cat was great from start to finish. I could not have been happier with our home buying experience. I highly recommend Cat if you are looking to purchase a home! "Cat is a great person to work with very understanding and knowledgeable . She has done more and recommend different ideas to sell and promote our property . I feel like she stayed on tops of things to move our cabin and that was the kind of person we was looking for. I am very thankful she was recommend to us..
"We were relocated from Ga to Va, and needed to sell our house quickly. After very disappointing results from the initial agent we had hired, we found Cat Benitez. She met with us, on a holiday weekend no less, and we decided to list with her. Smart move! We had more showings in a week than we had had in the 3 months prior with another agency. Her professionalism, and willingness to go above and beyond never ceased to amaze us. Thanks Cat for getting our home sold in less than 6 weeks! We would definitely recommend her." "Cat is the best! I told what I was looking for and she found it for me. She really listens, and wants to help in any way possible. I was a first time buyer, and she aided me through the whole home buying process. She really was there for me the whole time. I love my place, and I really owe it all to Cat. Highly recommended!!!!" "Cat went above and beyond to sell our house. After listing our house with another agent who will be left unnamed, Cat was recommended by our local neighbor. Within two weeks we had more showings than we did with our other agent that listed the property for 3 months. Cat far and above exceeded our expectations. Her knowledge, reliability and experience go way and above over most agents in her profession. I would highly recommend Cat Benitez to other sellers because with Cat you not only get a great agent but you receive a awesome person as well"
"I absolutely could not have asked for a better partner in selling my home and buying another. From the very first conversation to the closing table Cat was beside me explaining the process and working for me and with me. In less than 4 months my home was sold and we were moving into our new home, and I owe that to Cat"
"I can not say enough good about Cat. First off, she is just a happy, fun person to be around! She will put you at ease at your first meeting. She was happy to show us the house and property we purchased multiple times. She immediately returned our phone calls, she knowledgeably answered all our questions and advised us correctly during negotiations. "Cat is a great agent that listened to our specific wants and needs. She was very helpful and guided us the whole way in purchasing our new home! We will definitely hire Cat to buy again when we are ready!!" "Outstanding attention to detail. Made the process of finding a new home really easy and worked real hard for her clients. "A" +. Would recommend Cat to anyone else who is interested in personal one on one attention and someone who follows up on the little things!" "Cat is one of the best real estate agents I have ever had. She help us get the building ready, gave us pointers on how to make it a desirable property. We met her on a Thursday in mid-November and we had closing last week (Dec 7th). Pleasure to work with her." "Cat is a great real estate professional. She knows the North GA Mountains market, really listens to your needs and finds properties that are a fit based on your feedback. Communication and negotiation advice were both top-notch. We could not have asked for a better experience when buying our home in Ellijay. It was great working with Cat, and we would highly recommend her to anyone!" "Cat was very instrumental in helping my find the right property for my needs. She listened to - and understood - what I was looking for in a property. As a "remote buyer," this gave me complete comfort and confidence in her ability to continue the property search in my absence. She also gave helpful suggestions on areas, provided the pros and cons on each of the properties we visited/reviewed, and gave me the highlights of living in the area (as I was a newcomer). I appreciated that she was laid back and patient, and not pushy with me. I highly recommend her and would definitely use her again for any future real estate needs." "We engaged Cat to help us find investment/rental properties. She knew we would be looking at more houses than a home owner and was very patient with us while we learned. We had to place bids on several houses to get a contract due to the amount of activity in the price range we were looking. Cat was very helpful through the whole process. To date, Cat has helped us close on 3 rentals, all doing very well. We will certainly use Cat for any future purchases we pursue. "My husband and I visited Ellijay to purchase a cabin. Even before we arrived, Cat had everything lined up for us to see. Her patience, wonderful personality and expertise of the area was invaluable in helping us find the perfect cabin for us. Cat goes above and beyond in every way. Even after closing, she is still on the job, assisting wherever she can so the transition is smooth. We can't say enough good things about Cat and look forward to being her neighbor one day! Five star all the way!" "From our first conversation Cat Benitez was "ON THE JOB" and proved to be the "GO-GETTER" I thought she and her assistant would be. Her expertise was obvious, her professionalism spit on. What a great experience. Thank you Cat Benitez and Neg."